Father John Misty has announced a new live album, Father John Misty: Live At Third Man Records, out Sept. 28 through Third Man Records. Recorded in September of last year, the record features a smattering of tracks that span the career of the psych-pop provocateur, all performed in a stripped-down solo acoustic setting in the tiny Blue Room venue at Jack White’s Third Man Records in Nashville. The performance included a debut performance of the then-unreleased “Mr. Tillman,” as well as an impromptu recording of “Now I’m Learning to Love the War” that was pressed to a 12” and given to a lucky fan in the audience. Third Man has hosted multiple notable performances in the Blue Room, and the concerts are all recorded direct to acetate for vinyl pressings. You can preorder Father John Misty: Live At Third Man Records on vinyl here and hear the live album rendition of “So I’m Growing Old on Magic Mountain,” released alongside today’s announcement, right here. While you’re at it, check out FJM’s performance of “Chateau Lobby #4” at Third Man here, as well as his 2012 Daytrotter Session below. 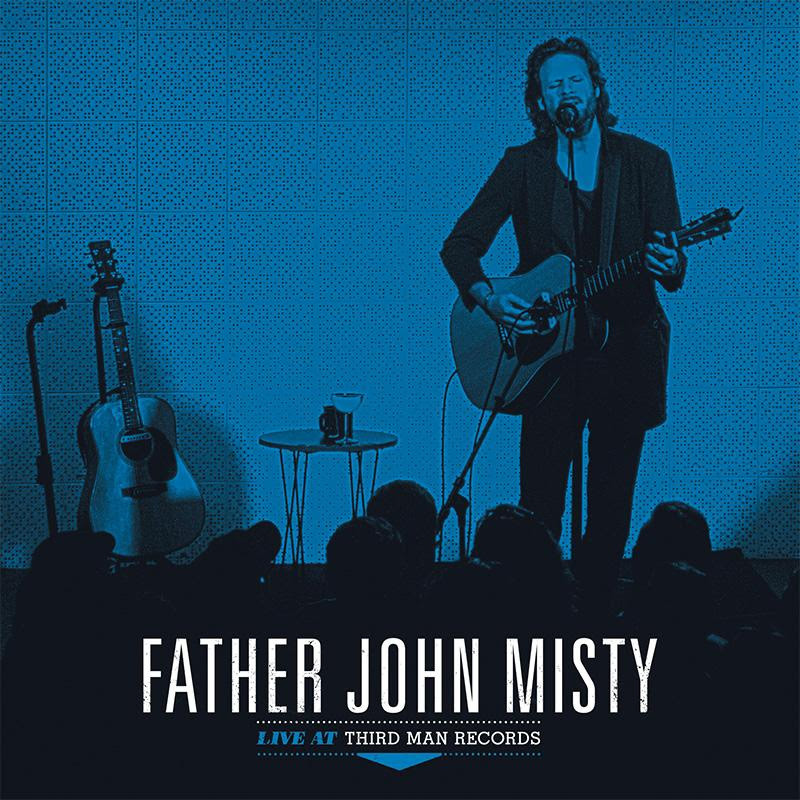 Keep scrolling for the Father John Misty: Live At Third Man Records tracklist and album art.